As much as I love turning grocery runs into scavenger hunts, I deeply dislike that I there's no store where I can get everything I need all in one place. 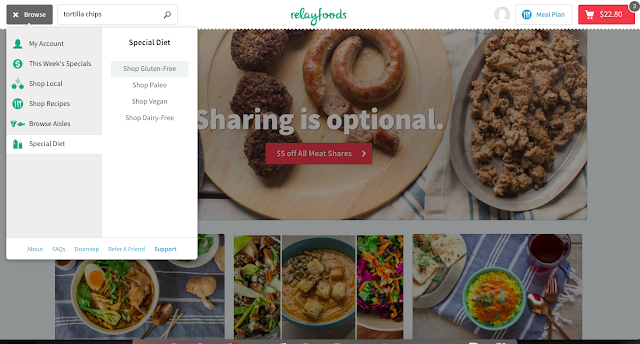 Multiple grocery runs a week is super time consuming, so I decided to give Relay Foods a try. 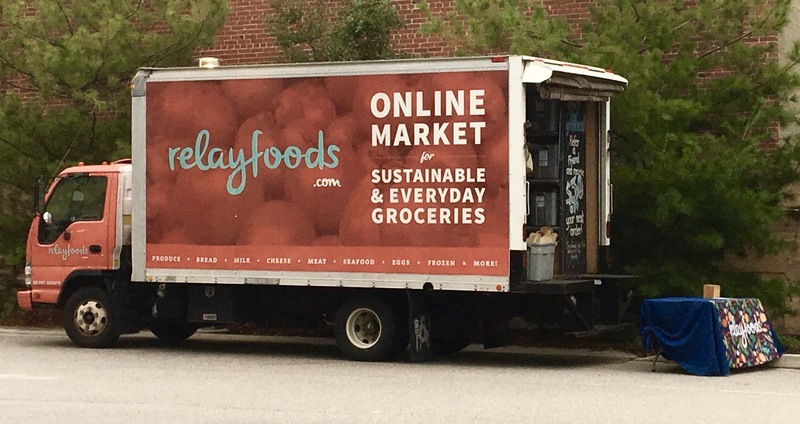 Relay Foods is a regional online grocer that enables customers to virtually shop for food then have it delivered to their doorstep or to a local pick up spot. Relay currently serves DC, Maryland, Virginia, Pennsylvania, and North Carolina with more markets added every day. Food options on the site are plentiful, from fresh produce and meat to your favorite packaged snacks. 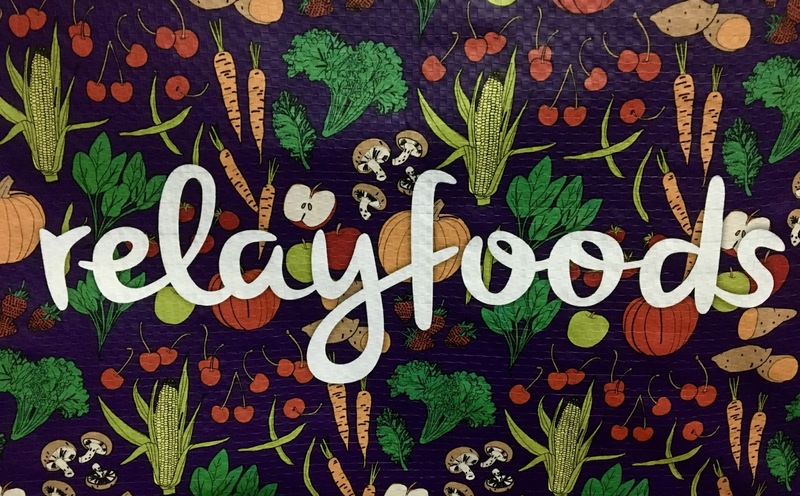 Gluten-free, paleo, vegan, and other special diets are accommodated, and there's a nice mix of local and national brands to choose from. 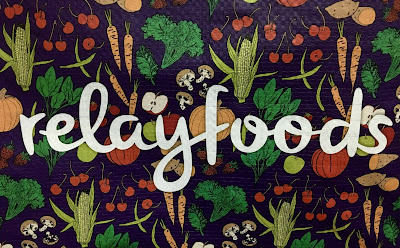 Streamlining the grocery experience so that I could get a little more free time in the week? I was intrigued and finally decided to try it out. For those who cannot or do not want home delivery (like me), pick up spots are the way you access Relay Foods at a location convenient to you. Here in Baltimore, there are spots located all across the city on various days ranging from Monday to Saturday. I selected a spot close a couple blocks away from my internship site, which was really convenient. I placed the order the day before, and picking up the order only required me telling the attendant my name. The process was super simple, and I liked this streamlined version of grocery shopping that did not require navigating a store or facing long lines or crowds. For my order I selected Roots Hummus, Cafe Spice entrees, Relay Foods' rosemary and white bean salad, and Nona Lim's Thai curry and lime broth. Upon picking up the order, everything was kept refrigerated or frozen in the truck so I made sure to bring an insulated cooler to make sure everything was kept cool on the journey home. The only downside to my order was that the expiration dates for a couple items (the hummus and salad) were one to two days after I picked up the order. I know that these items are perishable to begin with, but there was not a lot of time to consume them before they went bad. But wait- there's more! To share my excitement about stress-free grocery shopping I'm sharing a promo code that will allow you to get $30 off your order. All you have to do is follow this link (click here) and place your order.